Attika, Tour in Greece & Greek Vacations. Attica (Greek: Αττική, Attiki) is a periphery (subdivision) in Greece, containing Athens, the capital of Greece. Attica is subdivided into the prefectures of Athens, Piraeus, East Attica and West Attica. Attica is located in what is today Southern Greece, and covers about 3,808 square kilometers. In addition to Athens, it contains within its area the cities of Piraeus, Eleusis, Megara, Laurium, and Marathon, as well as a small part of the Peloponnese peninsula and the islands of Salamis, Aegina, Poros, Hydra, Spetses, Kythira, and Antikythera. 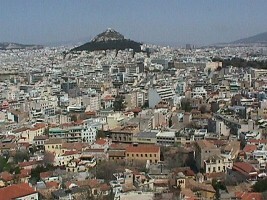 About 3,750,000 people live in the periphery, of which more than 95% are inhabitants of the Athens metropolitan area. Holidays in Greece, Greek Islands, Mainland & Places in Greece.